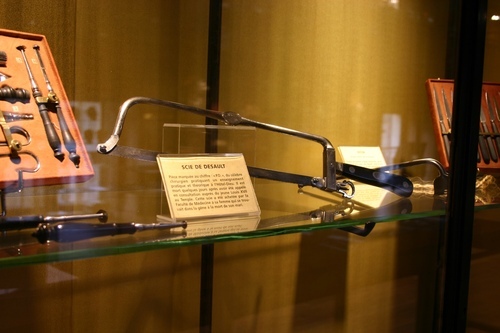 This surgical saw belonged to Pierre Joseph Desault and is now displayed in the Musée d'Histoire de la Médecine of Paris. 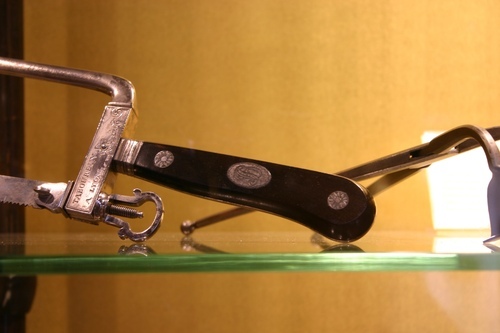 The saw, showing the initials of the great surgeon ("P.D. "), was acquired by the medical faculty from Desault's widow who, after the death of her husband, was in financial distress.